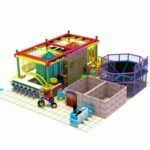 Indoor play centre equipment for sale is more and more popular all over the world. As the development of economy, weather kids or adults have higher requirements on entertainment. That’s no doubt that the indoor play centre equipment is welcomed by kids and their parents. 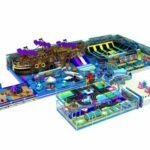 If you are an amusement ride businessman, how could you not equip the indoor play centre equipment to attract people and earn more money? Don’t hesitate to contact us! 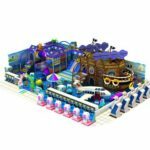 Indoor play centers equipment for sale, also known as indoor playgrounds, are playgrounds located in interior environment. They are specifically designed for kids to play in and have tremendous fun with. The soft-contained structure and play equipment are wrapped in soft foam to absorb the impact when children fall or bounce around. As such, an indoor playground is usually a safer play area compared to an outdoor playground. Since its origination in 1990′s from the US, indoor playground has enjoyed immense popularity all over the world. 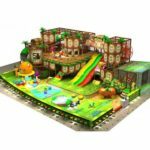 Today, it has evolved from simple indoor climbing frame, to complex children play center that includes multiple play areas serving different age groups. 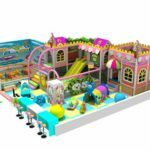 In addition to ticket sales, the revenue of indoor playground comes from a diverse source of children’s entertainment and services such as: hosting party, gift sale, kids art and craft, drinks, and more. Indoor playgrounds can vary hugely in terms of sizes and play features. 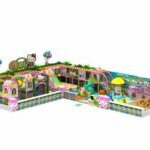 Indoor play center for sale can be said to be a new and highly comprehensive children’s paradise, which is designed for children who like to drill, climb, slide, roll, sway, swing, jump and roll. Indoor play centre equipment can cultivate children’s independent personality, exercise their health, strengthen their brain and improve their intelligence. It is characterized by spontaneity, lack of motivation, interactivity and safety. Free from site restrictions, no matter inside or outside the home, or irregular site, can be installed, simple management, no power equipment, easy maintenance. Materials are engineering plastics, PVC leather, galvanized steel pipe frame, steel pipe, heavy gun sponge, etc. 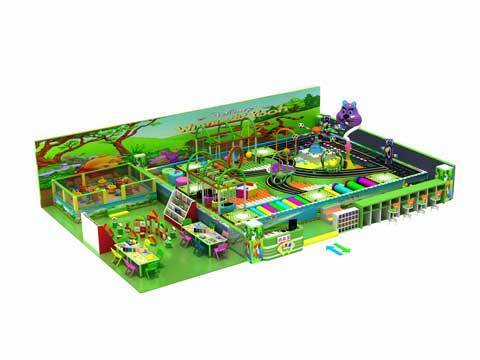 Depending on the properties of the materials, indoor play centre equipment for sale in different plans sells for hundreds to thousands of yuan per square meter. 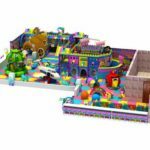 Good quality: Our indoor kids playground game center equipment is fading-resistant, anti-static, anti-aging, anti-cracking, strong, safe, and durable. Customized: Our indoor kids playground centre equipment can be easily customized with optional colors, style, theme, size and modular combinations. Free design: our castle playground equipment set can be customized to different floor plan. New type of expansion training items: According to height, it is divided into indoor individual type, outdoor individual type and indoor play area equipment combo. 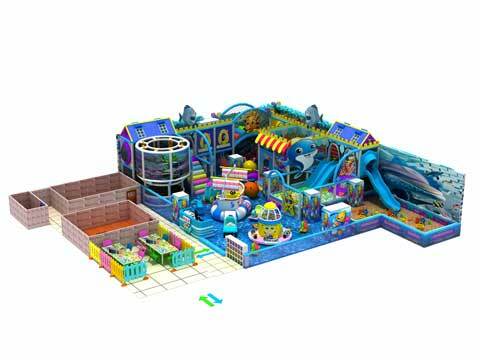 AS for the indoor play area equipment combo which including many different parts. This set of equipment has high safety factor, equipped with safety belt, safety helmet and other equipment. How Many Models Do Beston Have? 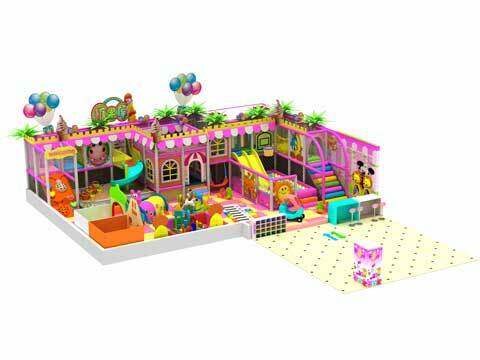 We have over 200 models for client’s choice; generally there are three types indoor playground for your reference. 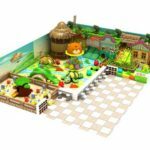 Type A: traditional indoor play centre equipment (without electronic items). 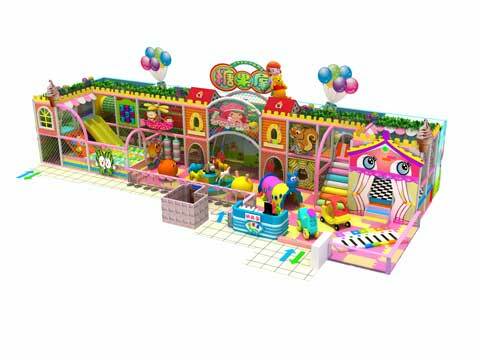 Type B: popular indoor playground (traditional indoor play centre equipment with some electronic items). Type C: toddler indoor playground (Just put some electronic equipment for small kids). CAD Drawings-Installation Instructions: once you place the order, we can freely offer the customers Installation Manual. And other detail list about product, such as component list, we also can do it. Just please inform us in advance. Customized Design: we can freely make different size and structure in design to achieve the maximum use of your space. And we also accept to produce the unusual play items. Quality Control: to ensure there’s no problem to trouble the customers, we keep doing goods inspection before shipment, and assembly structure in advance. After-sales Services: we insist on offering top class product and service. If any questions related to our product feel freely to contact us. Customer’s satisfaction is our biggest happiness. First, site problem. Our sales staff will have a detailed understanding of the customers’ site, including size, entrance, main passageway, height, and whether there are any fire barriers. In addition, they will also ask the customer if they have dimension drawings and electronic cad drawings. Second, design problem. In the beginning of the cooperation, we will communicate well with the customer before design, and try not to take detours. Third, design time and modification issues. 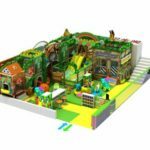 The design of naughty castle has no fixed standard time, and involves the complexity of terrain, area, height and the number of drawings in the hands of designers. Communicate with customers to solve problems. Minor changes to problems can be made in the front and in the back. 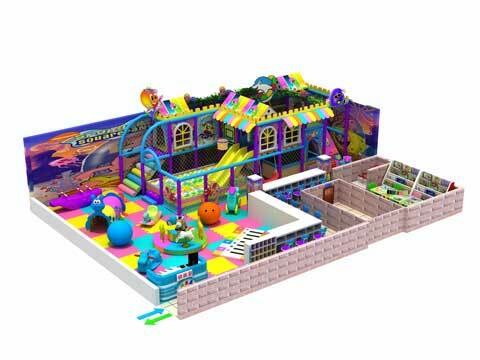 As a profession indoor play centre equipment manufacturer in China, we have export our indoor play centre equipment for sale Ireland, as well as indoor play centre equipment for sale Australia. You can find Beston indoor play centre equipment for sale in Ireland and Australia. What’s exciting is that our products are well received by our customers. We have got many certifications, so our indoor playground equipment is meet the national quality standard. In the past 10 years,we were recognized and awarded many honorable titles, such as “The Leading Company of Playground & Toys Industry Area in China”, and “Caring Enterprise” by Chinese Government. Welcome to purchase High Quality indoor play area equipment for sale from Beston Company, this is a big step towards your success. 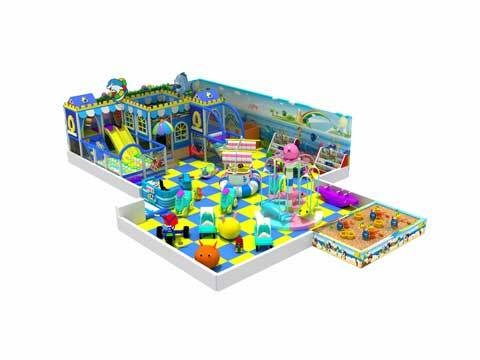 Please be free to contact us and get the price of Indoor play center equipment for sale!